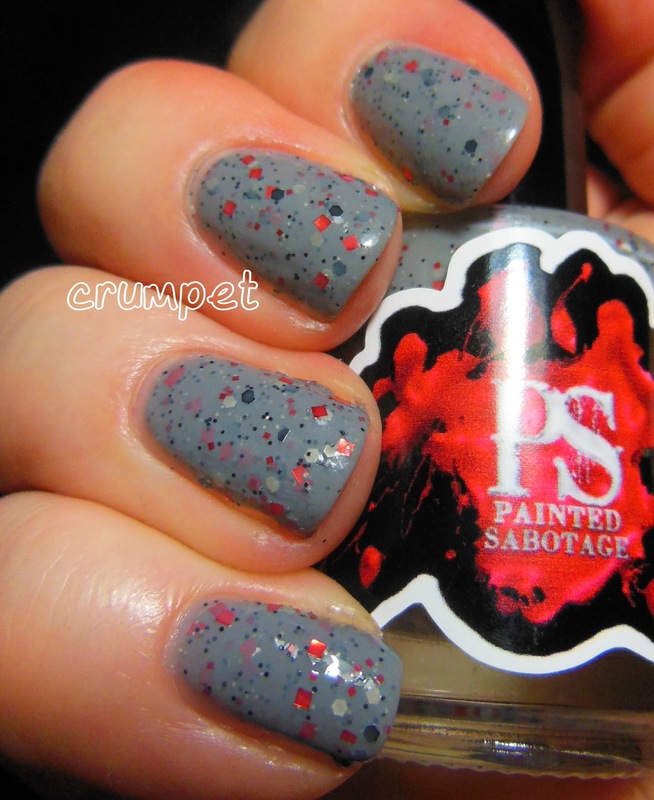 Today I have 4 polishes for you from Painted Sabotage. It's a brand I've been aware of for over a year, but I don't think Chrissie did international shipping back then. 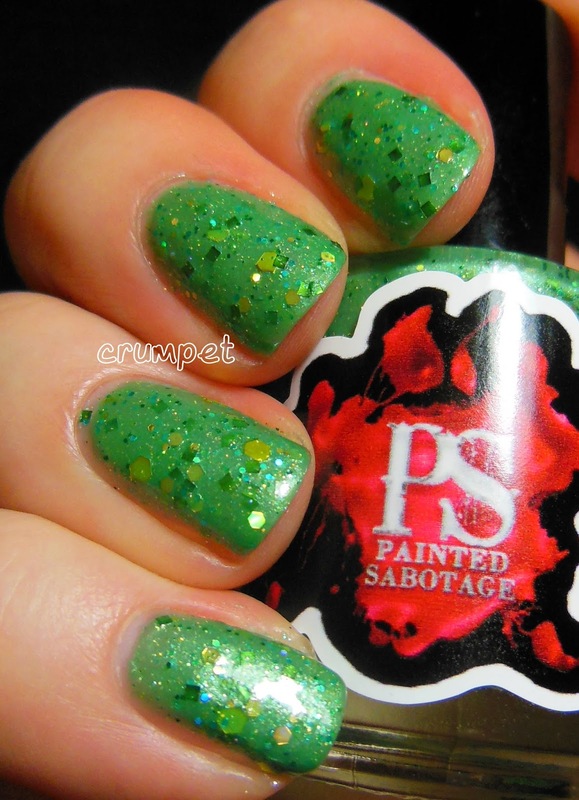 In fact, one of the polishes she sent me for review has been on my wishlist for over a year - it's the first time I've ever been sent a lemming to review! 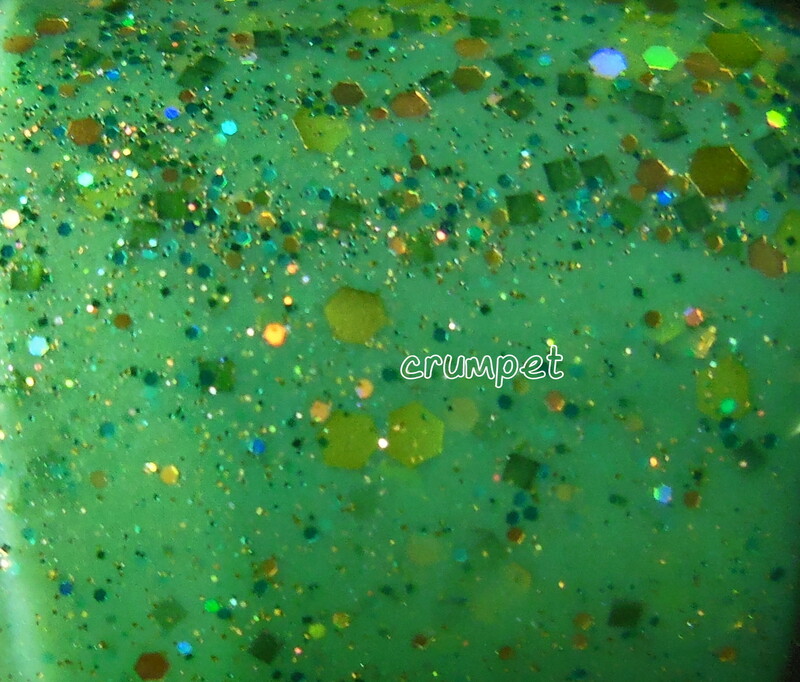 We start with MoonJelly, a bright and loud green polish loaded with gold and green glitters. As you know, this was never likely to be one of my favourites, but I enjoyed wearing it, and the composition of it was spot on (I'll come back to that later). 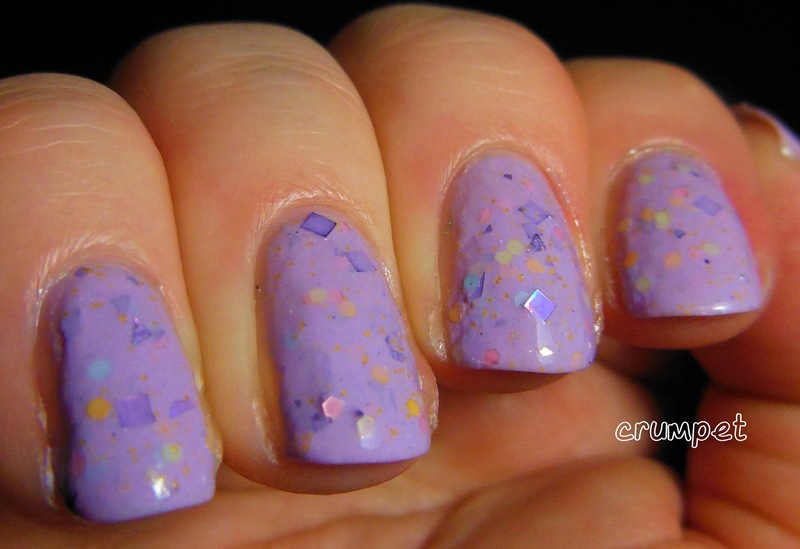 Next we have I Want Candy, and insanely glossy lilac crely loaded with shards of glitter. I am a sucker for shards, and I also loved how springlike the colour mix was here. A word about my photos - they look a little lumpy. I can assure you that in real life this mani was as smooth as a baby's bottom. No application issues whatsoever, so please, forgive my lighting or whatever it is that's making this look a little 3D. Ok, now we have Gargle Blaster. 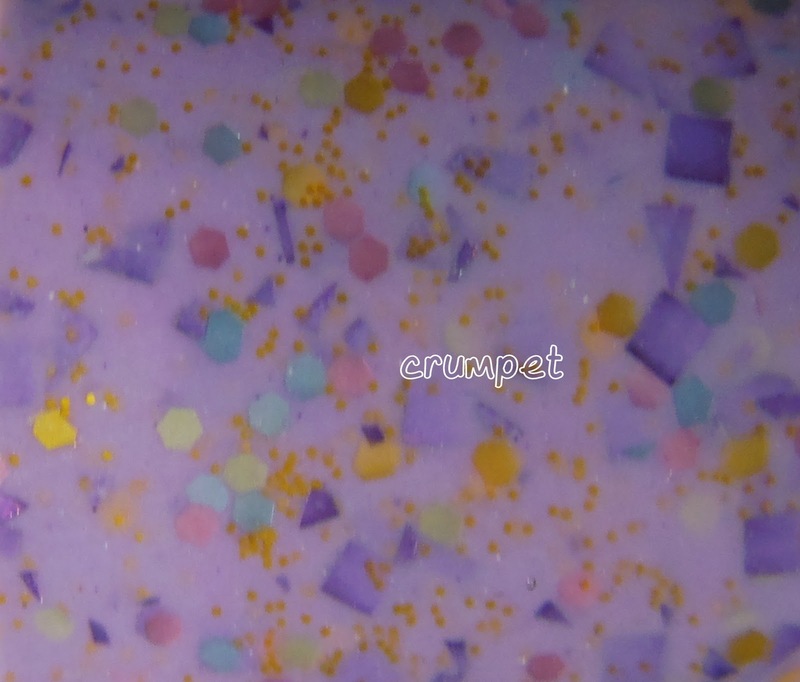 THIS was my lemming, and I think when I first saw it, it was the first time anyone had put purple and violet glitter in a mint green base. Since then, how many have we seen? But I'm pretty sure this was one of the originals. So how did it feel to land the lemming? Phew - every bit as good as I hoped it would be. 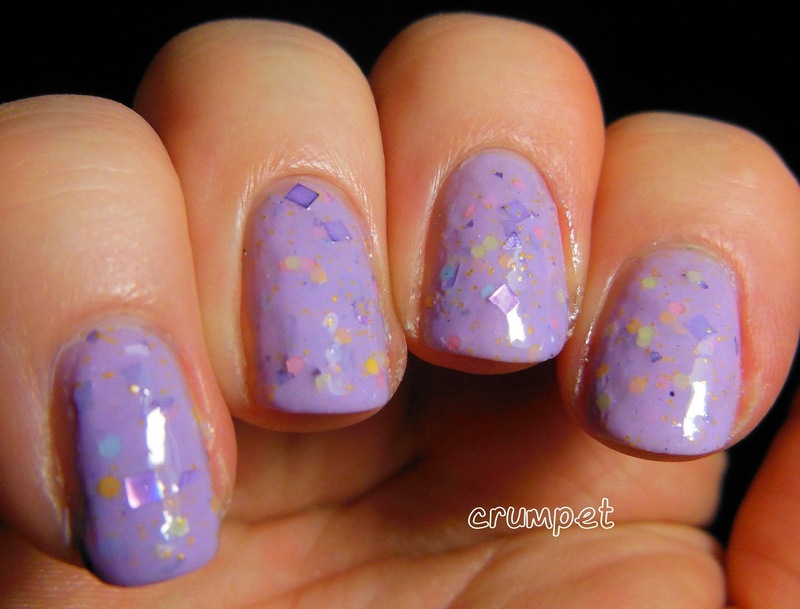 The glitter mix is just perfect and builds perfectly too. 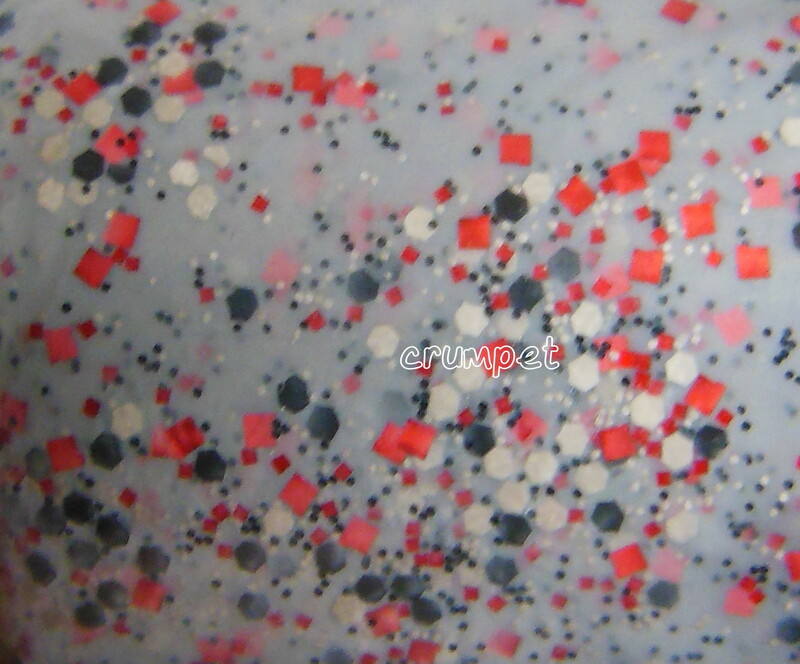 There's no lumpiness or layers hiding previous layers. Win. And finally, The Impossible Girl, named after one of my favourite Doctor Who companions of all time, Clara Oswald. 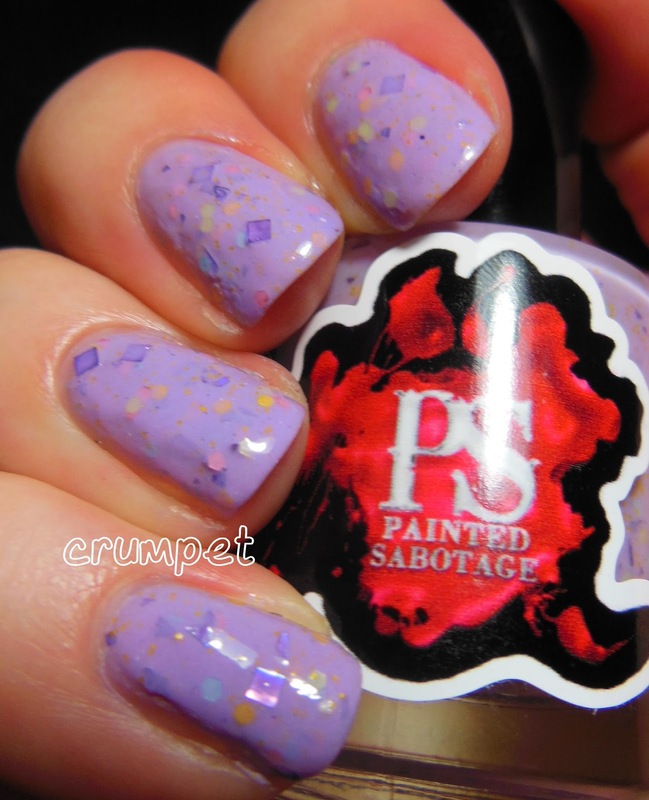 This was the first one I tried, and this is where the quality of these polishes really hit me. The formula is really thin. That may sound like a bad thing, but for these glitters, it's perfect. 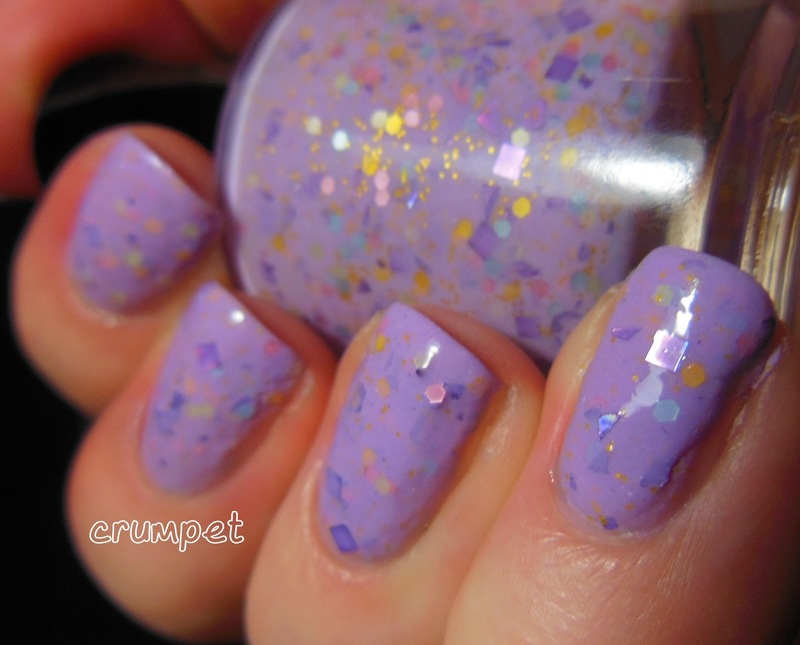 How many times have we tried to apply glitters like marmalade? 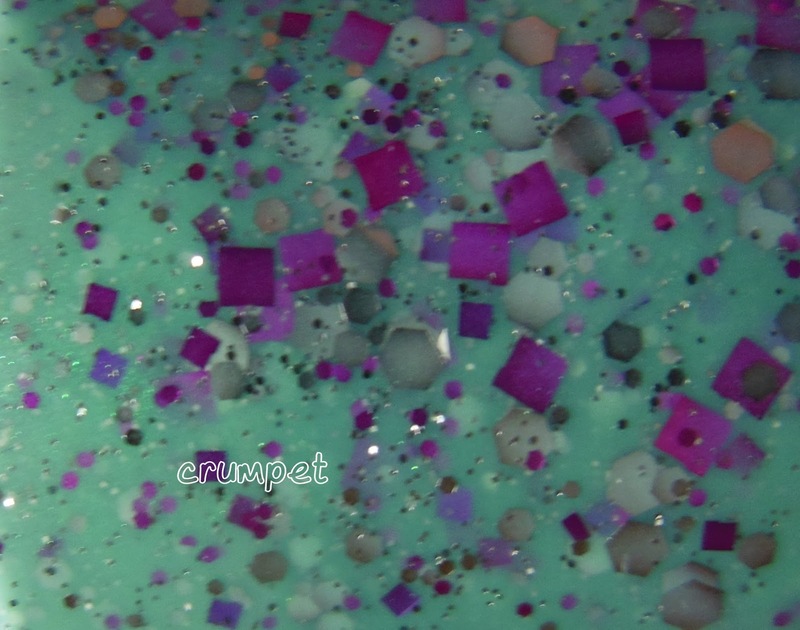 Well this applied a little like coloured water, depositing its glitters gently, and THAT'S why it built to opacity so perfectly. 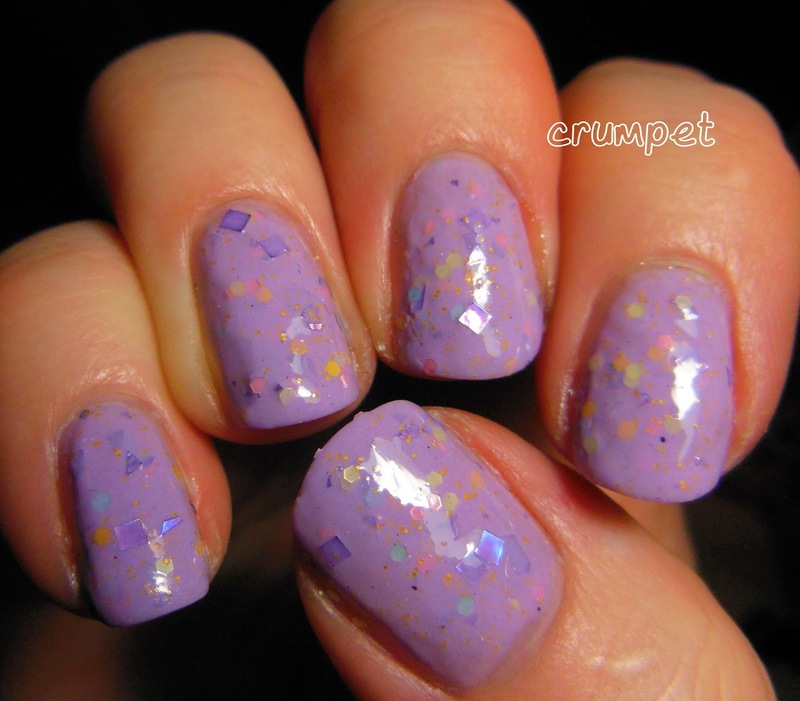 These swatches are only 3 coats, but the thin formula allows polish and glitter to co-exist without one over-powering the other. And well, yes, I really liked wearing this one too. It's as cool as Clara, with her trademark splashes of red. These polishes were sent to me for an honest review, and all of them can be purchased HERE.